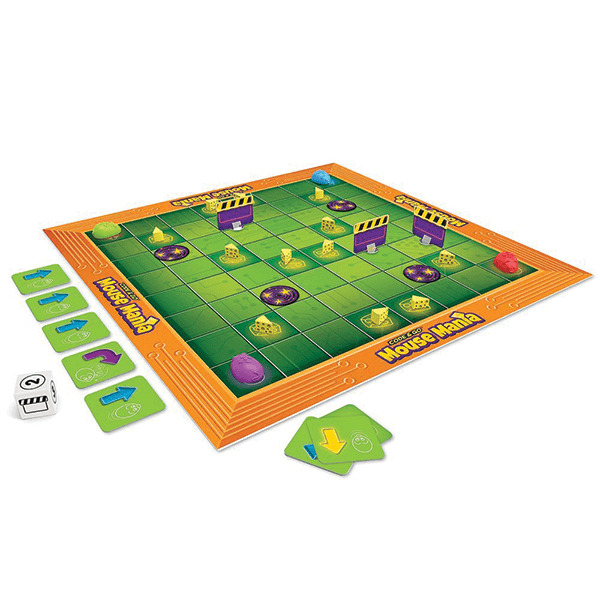 Two to four players take on the roles of rival mice in the hunt for blocks of delicious cheese scattered around the game board. On each turn, players draw coding cards that they string together into sequences of commands to “compute” their way toward those tempting cheesy wedges. To get there, they’ll have to navigate around maze walls that block their paths, and toward warp tunnels that speed up their journeys. The player who collects the most cheese wedges at the end of the game wins, but all players come away with new skills and understanding—in addition to the coding component, each game is built around STEM skills including problem solving and critical thinking. 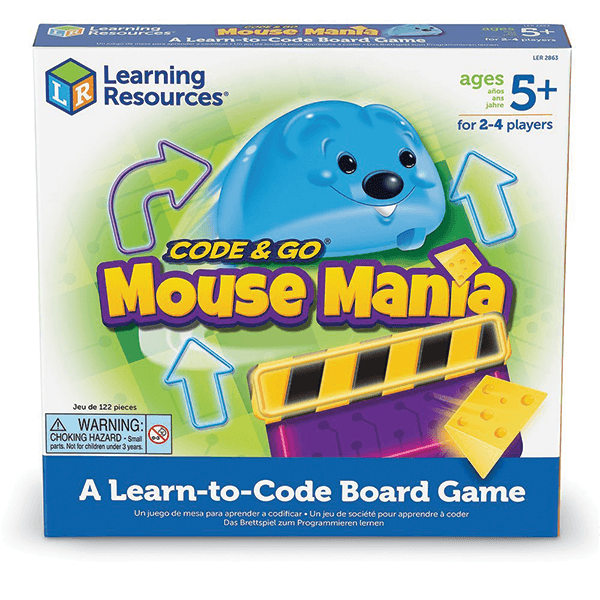 If You Liked Learning Resources Code & Go Mouse Mania Board Game, See More Related Products Below!